Instead of brown or black, go for a different Fall neutral this season, like Vince Camuto's Kerry Tote in mulberry. The warm wine color adds color and interest to an ensemble while still being neutral enough to blend in. 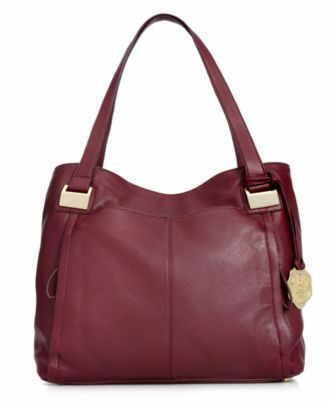 Grab this gorgeous leather tote at Macy's and try it out here, with ViewTry!